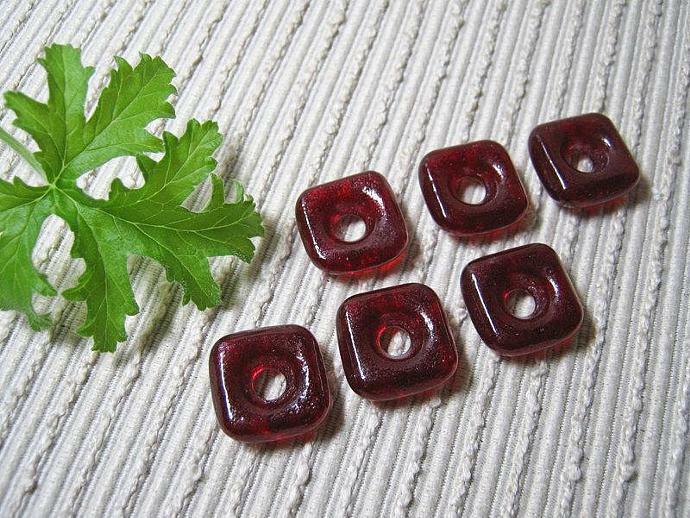 THESE 6 RUBY RED HANDMADE SQUARE GLASS BEADS WILL BE MADE ESPECIALLY FOR YOU. Depending on the quantity ordered, your special order will ship within 1-2 weeks, often sooner. 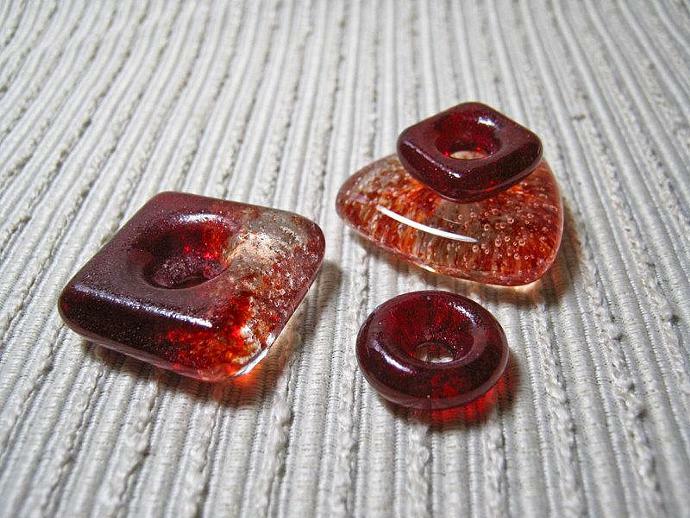 are created by layering cherry red System 96 glass frit into a mold and then melting to 1425 degrees in a glass kiln. Beads are approx. 5/8" in diameter with a 3/16" hole. 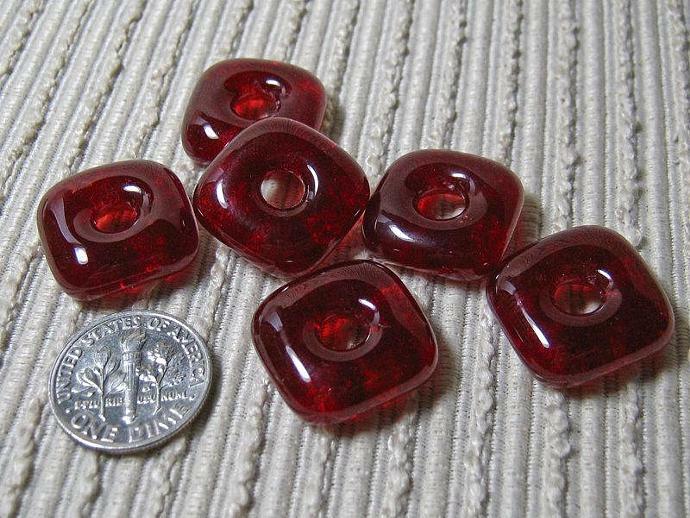 LOOKING FOR BEADS THAT MATCH THESE or MORE HANDCRAFTED SUPPLIES?